A paper maché sculpture of a woman joyously throwing back her head while standing on a flowered swing is now hanging above my bed. 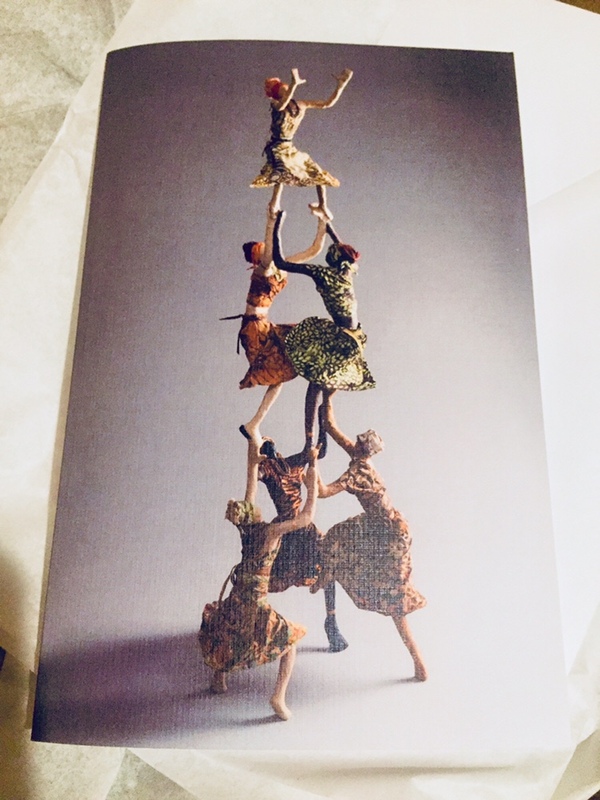 This beautiful art by sculptor Sarena Mann arrived today and was a special birthday gift from Mama. I’ve been a huge fan of Mann’s work since I first saw her hanging figures in a friend’s home a few years ago. 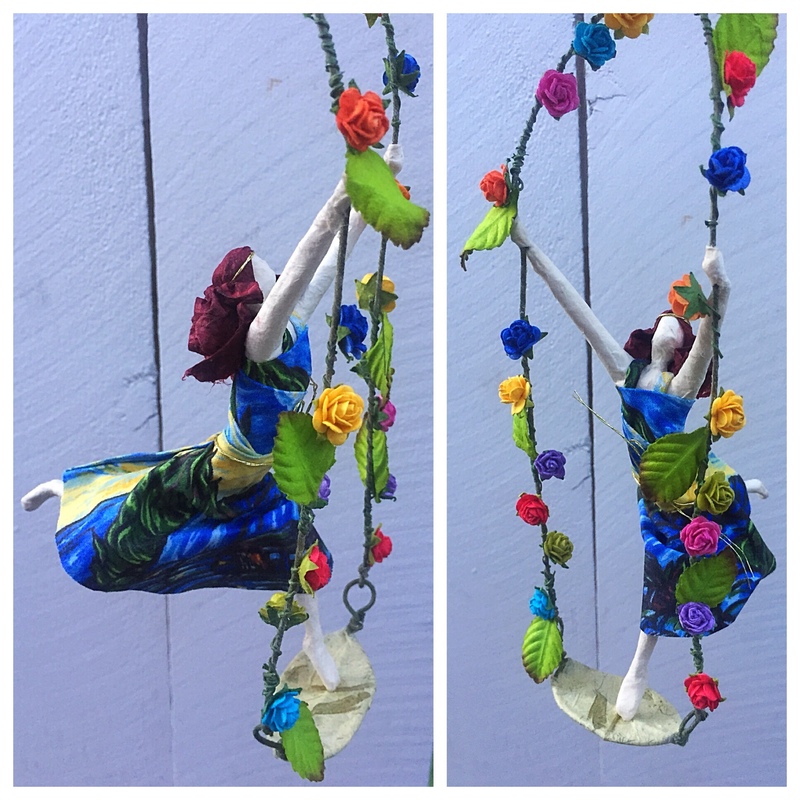 Mann’s whimsical creations are handcrafted from “paper, wire, cloth and wind.” My piece is called “Aurora Swinging High on a Summer Day” and her dress has a Starry Night inspired design. Today’s #OneGoodThing was receiving this meaningful, delightful, uplifting work of art from Mama! I look forward to waking up and seeing this inspirational figure; she’s a birthday gift I will treasure and cherish always. Thank you, Mama! Day 113 of 365. And Day 844 in a row (here’s the first 366 & the following 365)!